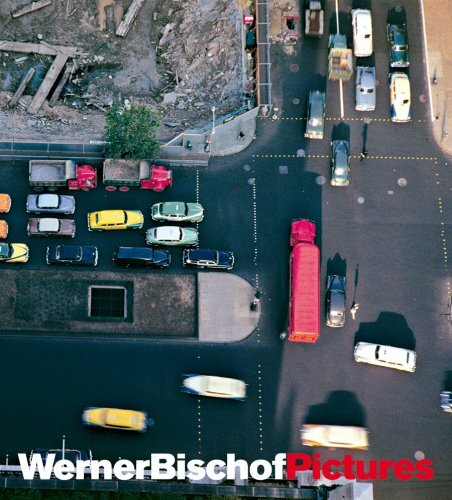 WernerBischofPictures offers an overview of the work of one of the twentieth century’s strongest photographers. Bischof (1916-1954), whose oeuvre took shape quickly over the very brief span of his adult life, is known as a master of black-and-white. His reputation began to spread during a studio period in Zurich in the 1930s, during which time he adopted the “Neues Sehen” (New Way of Seeing), and then it blossomed at the end of the Second World War, as he documented the destruction of Europe and the first efforts at rebuilding. Bischof was very active during the early days of photojournalism, and was only the sixth member to join the influential photo agency, Magnum. His subsequent reporting on famine in India, in 1951, brought him international acclaim. Several years later, following a trip to the U.S. to make large-scale color photographs, he traveled down through Central America to South America, where he died in an automobile accident in the Andes in 1954.